UPDATE 2-20-2019: Sister Clayton didn’t lay in bathroom as long as reported, She was there in bathroom from early Sunday night until about 4:00 pm Monday which is plenty long enough. She was dehydrated which caused thoughts of heart but tests so far doesn’t indicate this. She has had an ECHO and also has a UTI infection. Plans are to get her in a Rehab facility for some physical therapy. Merry Christmas to all who may be reading this little post. There would be nothing to celebrate without Jesus Christ, whose birth we celebrate this time of year. Of course we should celebrate and remember it (rather Him) every day of the year. The Lord always remembers us as His people, but we often fail to reciprocate. Many will be with family and friends this Christmas season and give and receive many gifts. The greatest gift of all of course is the unspeakable gift of Jesus Christ whom God gave for the sins of His people. Then we have the wonderful gift of eternal life. “For the wages of sin is death but the gift of God is eternal life through Jesus Christ our Lord.” (Rom. 6:23) We ourselves are the gift of God in that God gave the church (all His elect) to His only begotten Son as a bride and placed their welfare in His hands. What a great thought that we are a gift to the only begotten Son of God. Many children of God are sufferings in many ways this season and it will be more difficult for them to have a Merry Christmas. Many have lost loved ones recently and there is that void that cannot be filled but the presence of the Lord helps make it bearable as His grace is sufficient. As a precious sister told me just the other day, “Time does help relieve some of the hurt” but the trauma and sadness still becomes overwhelming from time to time and it is then we need to be led to a higher source. “From the end of the earth will I cry unto thee, when my heart is overwhelmed: lead me to the rock that is higher than I. ” (Psalm 61:2) We have a high priest who is touched with the feeling of our infirmities and able to make intercession for us as His people. Millions of God’s people have died and didn’t know about the birth and death of Christ but that didn’t effect their destiny to be with the Lord in heaven. How much greater are we blessed to have the knowledge of the birth and death of Christ and what it accomplished; this knowledge comes through the gospel. The Lord blessed Bethany during the September 2018 annul meeting with His gracious presence in all four services. We were blessed with excellent attendance with all our sister churches supporting the meeting with their physical presence and also their finances. Elder Josh Winslett was blessed to preach three messages from the book of Habakkuk with each sermon surrounding each chapter. 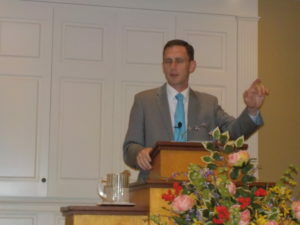 Friday night he preached from chapter one of Habakkuk with a sermon entitled “Frustration to faith” as Habakkuk mourns why the Lord allows the wickedness to go on without intervening as he wonders “How long” Lord is this going to go on. 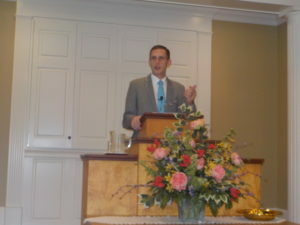 Saturday we were blessed with a good congregation with it being a Saturday with good singing and preaching by Elder Winslett from the second chapter of Habakkuk with a sermon entitled “An appointed time for faith”. The Lord answers Habakkuk from the first chapter but not in the way Habakkuk thought. He will send the Chaldeans to punish the wickedness of Israel itself and this is not what Habakkuk expects and doesn’t quite understand. 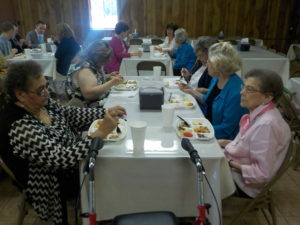 The sermon was followed by an excellent lunch and fellowship around the table. 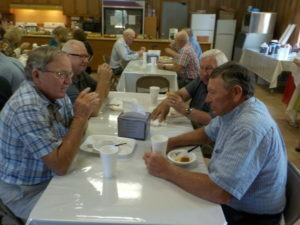 Saturday night we had an excellent fish supper and other goodies with the fish catered by Gene York. 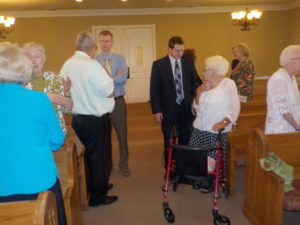 We had an excellent congregation with good singing and preaching by Elder Winslett from the 3rd chapter of Habakkuk. 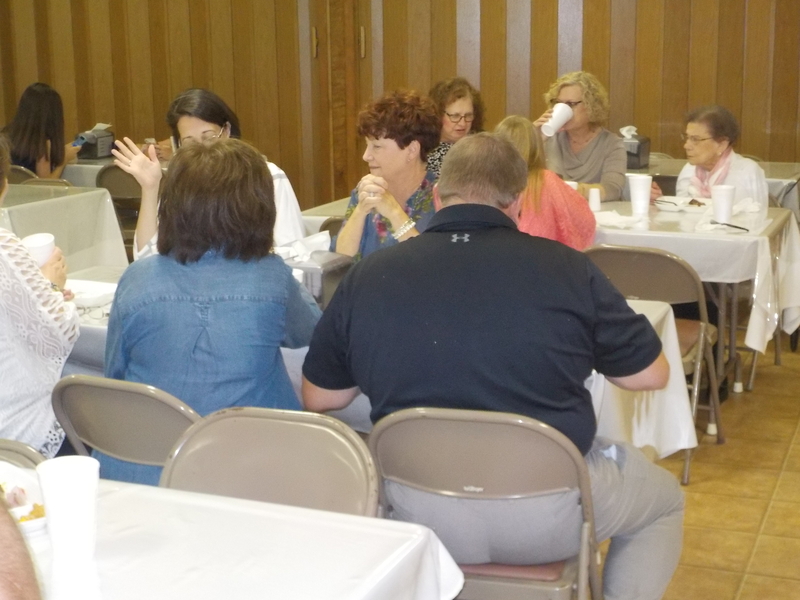 Habakkuk begins the chapter with a prayer and ends it with praise in spite of the calamities that have ensued. He finally comes to grips with the sovereignty of God in knowing that everything God does is good and right as we see in a linear fashion while God sees the end from the beginning. Sunday Bro. Larry Wise preached from the Isaiah 53:1 about a good report and who believes the good report of the gospel and how reports are mentioned in scripture of both an evil report and a good report. It takes faith to believe the good report and then individuals need a good report of their peers that is accomplished by their obedience to the good report of the truth of the gospel. Sister Dorothy Clayton: Bro. 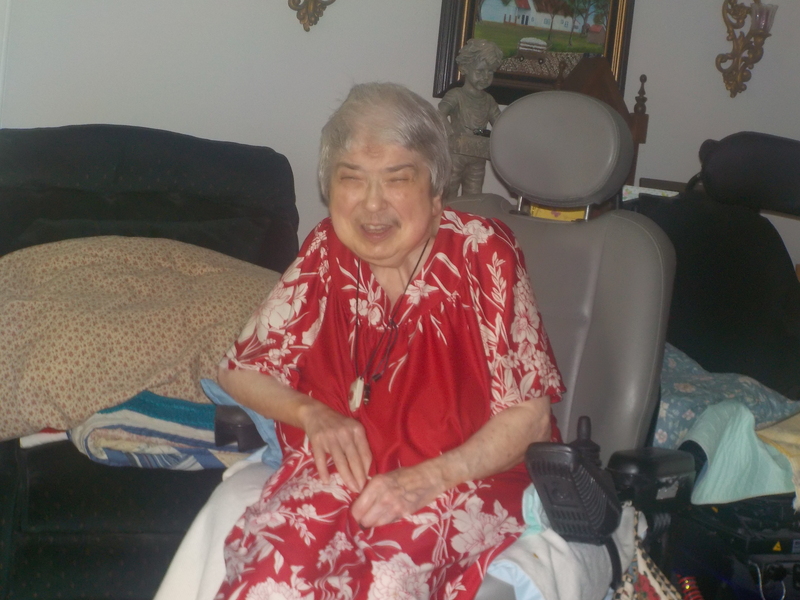 Larry Visited her Sunday afternoon Sept. 8 she was as jovial as ever and doing fairly well but hasn’t been able to be in church in years. Bro. 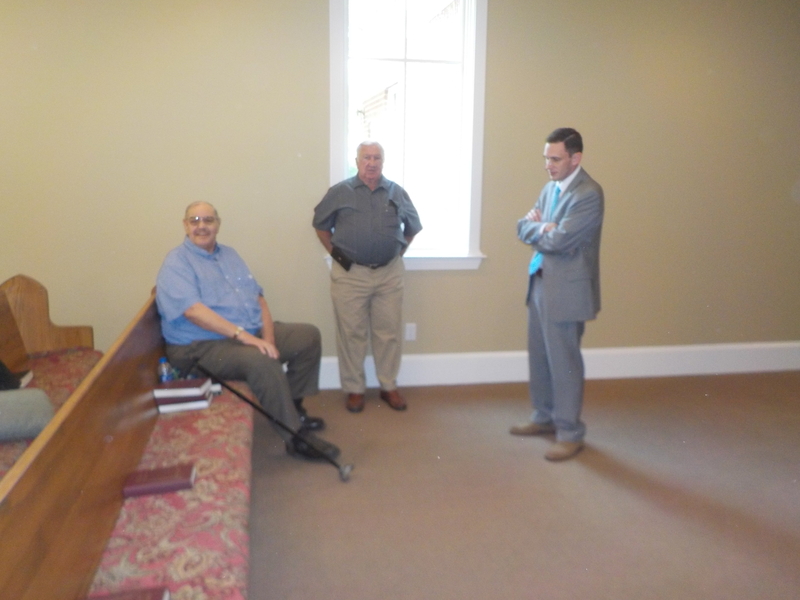 Boyce Grisham, Elder James Hall and Elder Josh Winslett discussing the situation. Third, know that others see your example. When you click “like” on something unbecoming of a believer, know that other people can see it. Other young believers (and older) are watching your example. If you react to vulgar pictures that are sexually explicit, know that you are setting a bad example and being a possible stumbling stone before a weaker brother (1 Corinthians 8:9). Be conscientious of those that are following you. Finally, know that I love you. This exhortation is not out of malice, nor is it to put you down. Remember, where you are I once was and where I am you soon shall be. 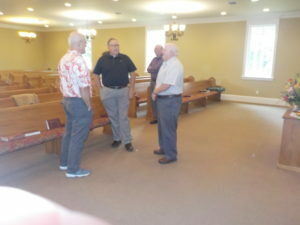 I remember many friends from my youth that are no longer a Primitive Baptist, many do not even attend a church. Much of the problem that existed with their experience can be attributed to some of the issues mentioned above. My hope is that you, your children, and your children’s children, will all have flourishing lives in the church of our God. But that life starts now while you remember your creator in the days of your youth.